After four great days in the company of Jeffrey and Beth we had a farewell nacho and pizza dinner at the Marine Tap Bar. 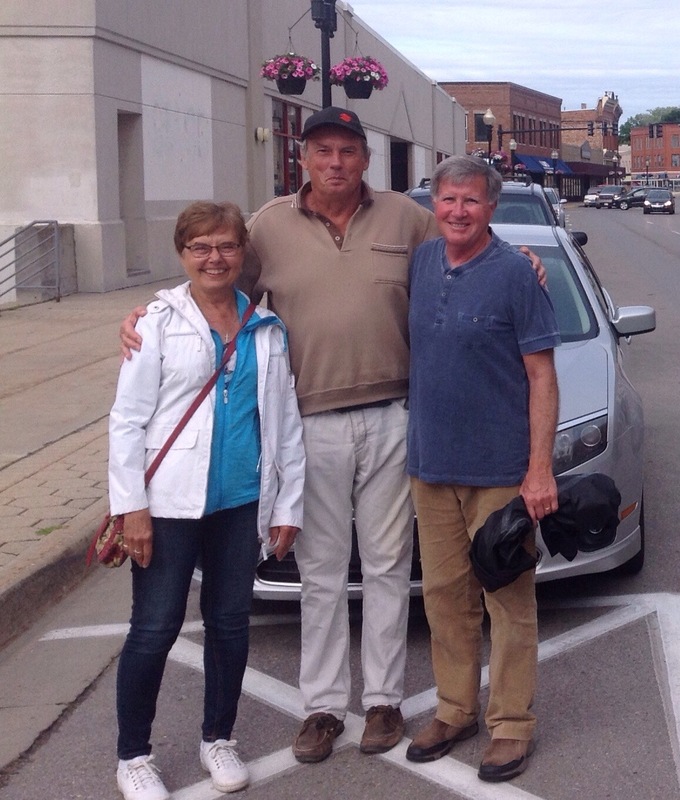 It was a sad and hollow feeling as we bade them goodbye and hopefully they may come visit us in Australia. We had another good. 60 mile run down the Michigan Riviera today. 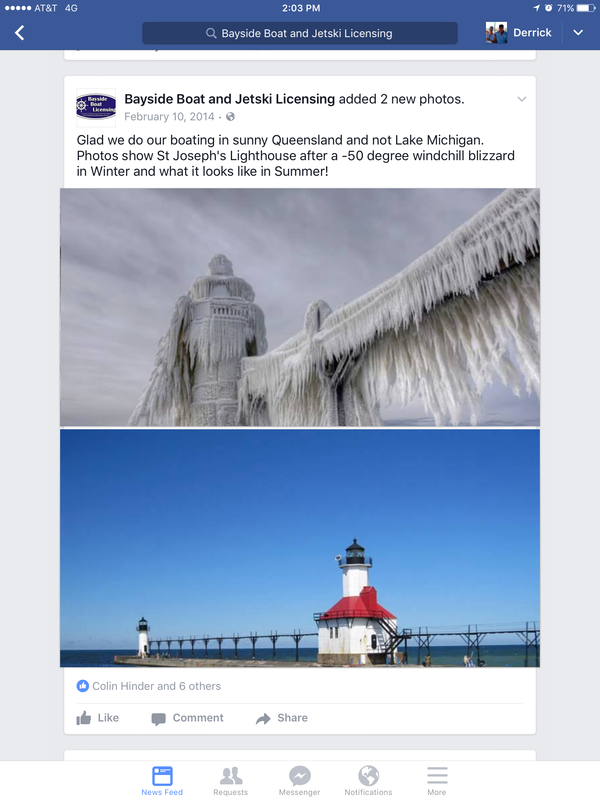 I was keen to actually visit St Joseph as two and a half years ago I posted winter and summer photos of the lighthouse here on the Facebook page of the business I owned then. 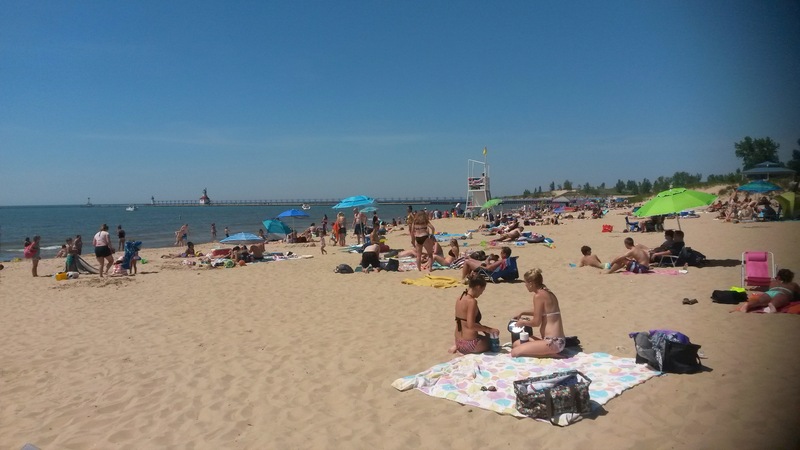 Fortunately our visit coincided with Summer so the view from Silver Beach across to the lighthouse was much more inspiring. 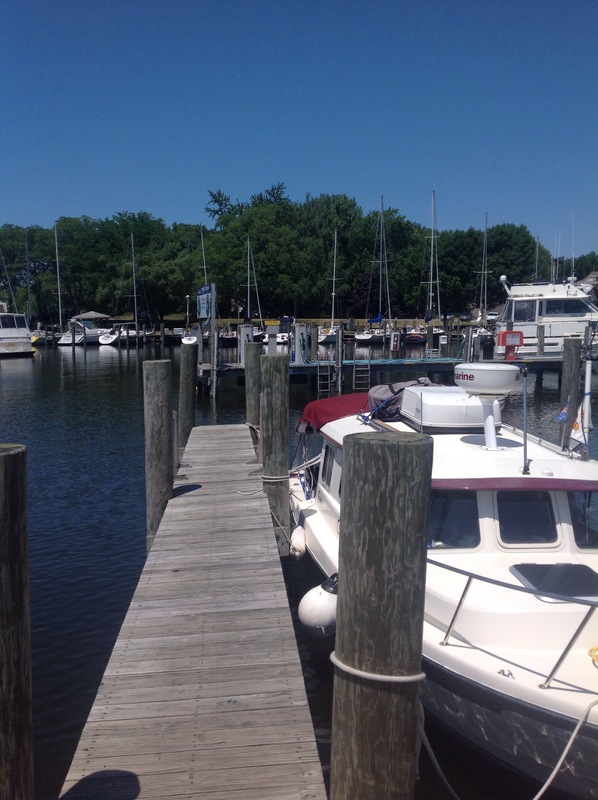 The West Basin Marina is a neat municipal facility surrounded by parkland. We are now within 60 miles of Chicago which we have a weather window to reach tomorrow.